I don't know why, but at least in the promo I like this bloody version a lot more than the other ones. It's also great he comes with extra accessories. 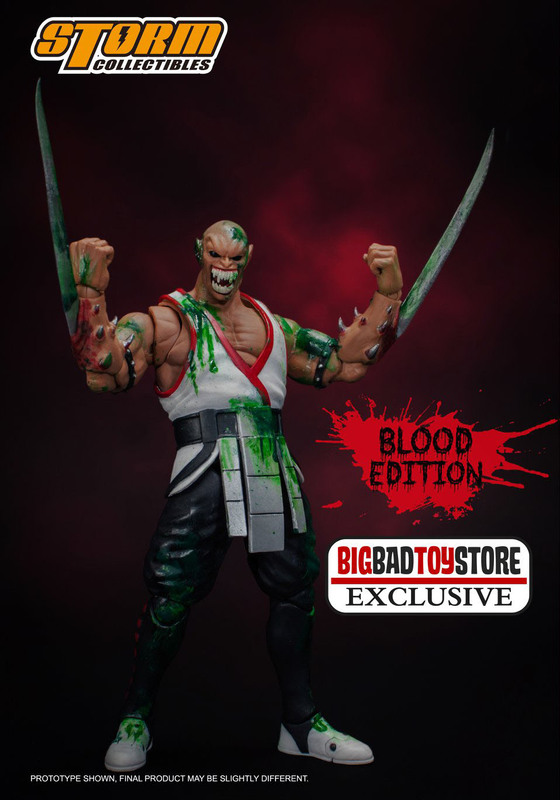 I love Baraka and could see myself picking up 2. Reptile's blood is green. Right now I forget if there's anyone else. Edit: I just remembered Reptile's blood wasn't green yet in MK2. Sheeva also has green blood. 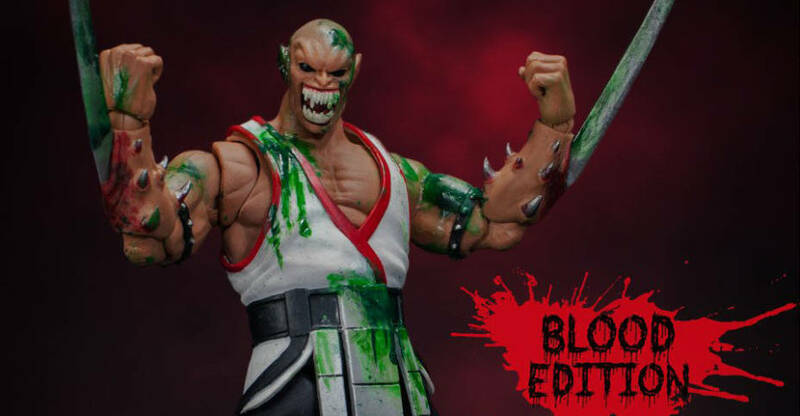 The Japanese version of MK2 was also "censored" by turning the red blood of every character green. Yeah, the green blood is from the SNES version, the blood was green. Now it all makes sense.